"Poche" is French for "pocket." 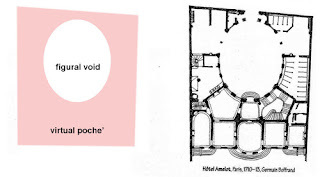 In architecture it refers to plans or maps that have materials completely blacked in, to get a better idea of the geometry of the physical space by outlining it. 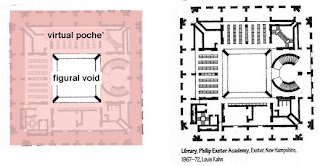 Poche: the walls, columns, and other solids of a building or the like, as indicated on an architectural plan, usually in black. Poche: In an architectural drawing, the blackened portions representing solids.